This game is good for when you're bored at home, at work, or even at school. It's super Fun! After all these years. Beautifully designed. Great fun for all ages. Note to developer! Please don't give up on this! ? I love playing this game and am so addicted. I pretty much play it everyday. The only reason why I didn't give it 5 stars is because it costs money but other than that, it is my favorite game! Very fun, but gets a little boring after a while. 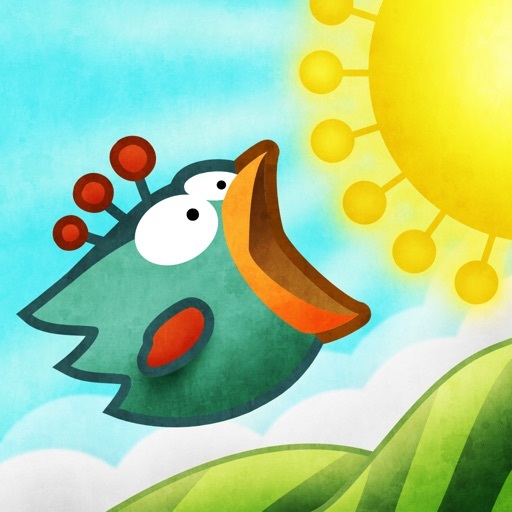 Tiny wings is a great game. It has amazing graphics and challenging levels. My only problem with the game it that I completed all the levels in flight school and I've been waiting a very long time for the new island to come out. After 5 minutes you can't help throwing your phone across the room and crack it. This app is actually 601 dollars because you have to pay for a new phone. ?? I love the new Tuna Island! More updates and more content added would be much appreciated, gets a bit repetitive after a while when new islands and levels aren't being added. The game is absolutely AMAZING! I always play it when I get bored or have nothing to do. I would highly recommend this game to younger children!